Are you in the market for high-quality decking installed by a trained and experienced team of professional installers? 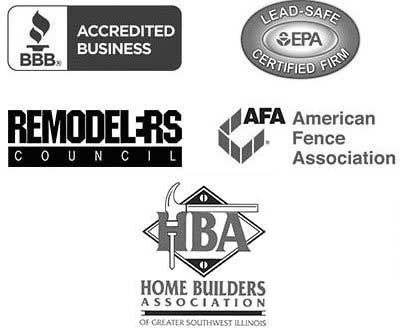 If so, turn to the company that has been in business longer than any other deck company in the Swansea, Illinois, area – Chesley Fence & Deck. Since 1967, we have been the premier choice for deck building in the region, customizing beautiful backyard escapes for many happy homeowners. Endeck Cellular PVC – This deck option has the appearance of real wood while also being easy to clean and resistant to cracking. Tamko EverGrain® composite – Similar to Endeck Cellular PVC decking, our Tamko EverGrain® composite decks also boast fade and stain resistance. Tamko EverGrain® Envision® PVC coated composite – This is our top-of-the-line decking with all the benefits of our Tamko EverGrain® decks as well as PVC coating for additional durability. 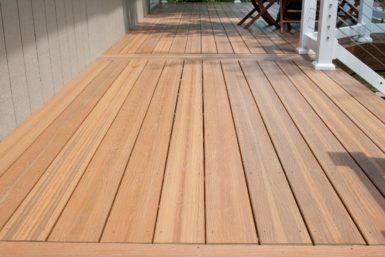 All of our decking also has the added benefit of a three-year labor warranty in addition to manufacturer warranties. For our Tamko EverGrain® Envision® PVC coated decks, we even pass along a 20-year manufacturer warranty that covers stains, deterioration, and fading, further protecting your investment. For more information on all decking options available to residents in the Swansea, IL, area, contact Chesley Fence & Deck today.